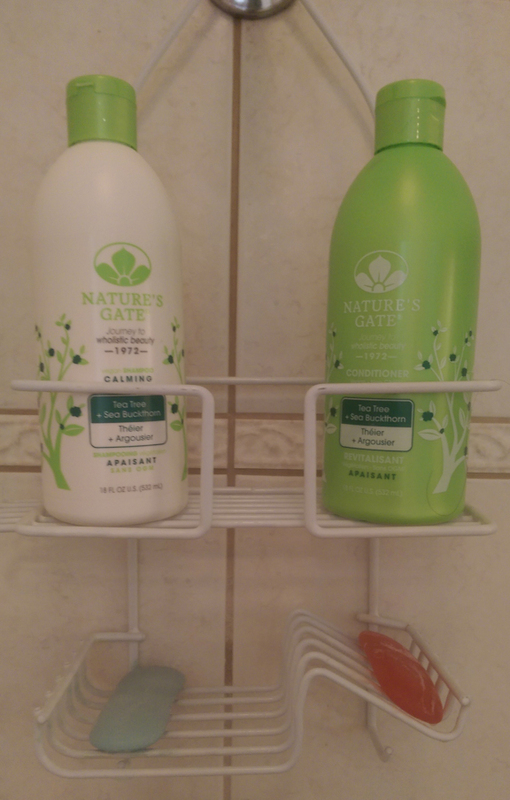 My husband thought that “calming” was a funny thing to call shampoo and conditioner, but they really did help to settle my hair into nice calm waves, rather than wildly sticking out all over. And they are sulfate-free and made with healthy herbs, so they’re better for my scalp than the other stuff I had been using. So, I give them a big yay. And, if the shower caddy hadn’t been decluttered last year, it’s likely I would not have found them. I wouldn’t have been as adventurous in trying new hair products because clutter subconsciously makes people expect that things won’t change. I might have to try that shampoo!! 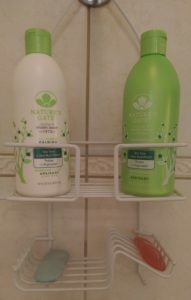 I had to declutter our shower caddy recently also! Thanks for sharing! Gonna look for it at the store. Good luck finding it, and I hope it’ll work well for you!